Beat This Caption Contest 190 – Caption Contest Funny Clever Witty Enter Today! 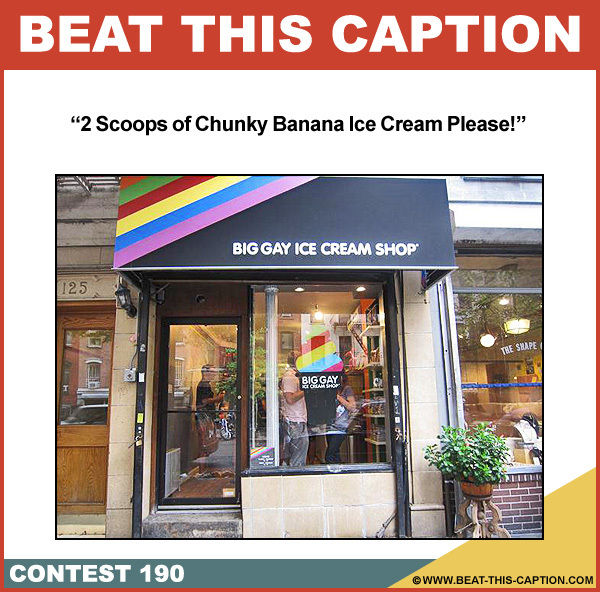 2 Scoops of Chunky Banana Ice Cream Please! March 23rd – March 29th 2014.